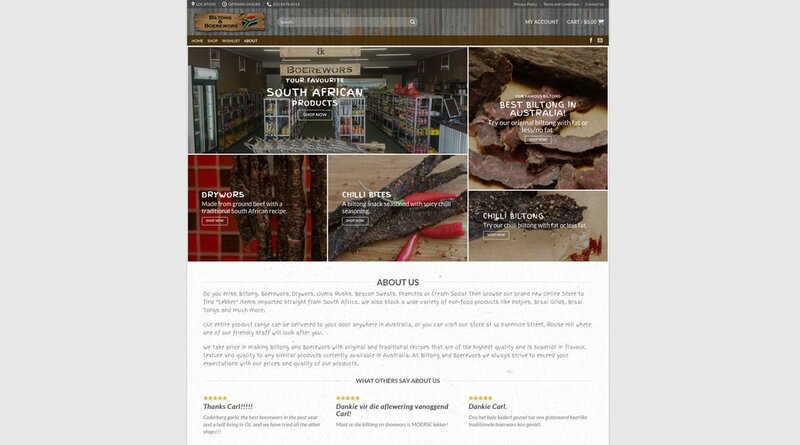 Biltong and Boerewors are a gourmet specialty store in Rouse Hill Sydney selling South African products. 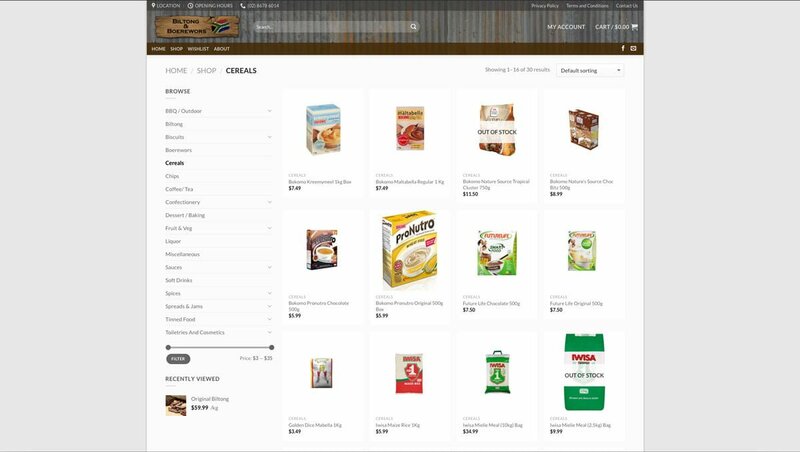 They wanted an e-commerce web designer who could seamlessly combine the cosy, rustic theme of their retail outlet with an efficient, customer-friendly e-commerce solution. As you can see, Social Web Works more than met their expectations. The client provided us with most of the images, and we helped them to set up their first 20 products on their online shop. Thanks to our training they were then able to add their entire range to the website. Plus Biltong and Boerewors take their security very seriously, so we implemented a rock solid SSL security layer into their online ordering system. Social Web Works is situated in the vibrant regional city of Orange NSW, but we service clients in Sydney, Adelaide, Cairns … in fact wherever you are in Australia. Partnering with Biltong and Boerewors, for example was a breeze with Skype. So whether you’re after a brand new website, a website makeover, help with your marketing and social media, or simply website support, shoot us an email today. Or call us here in Orange on (02) 6362 7124 to find the perfect on or offline solutions for you.